Simple accent pieces can make all the difference in reaching that finished look when decorating. 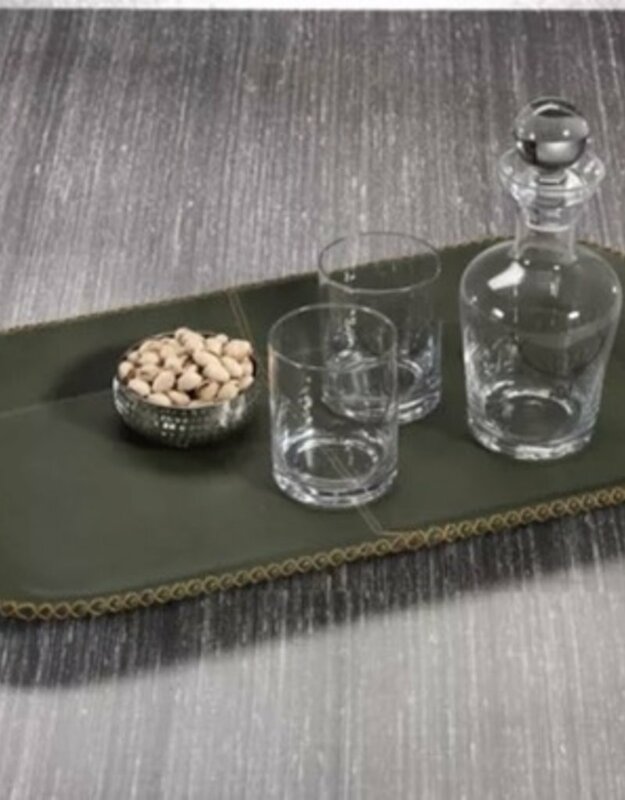 Made of faux leather with accent stitching, this serving tray is a charming addition to your decor. 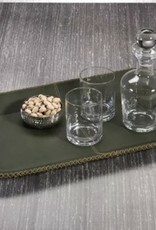 Top it with a small vase of flowers or decorative accents on top to give them an elegant look.